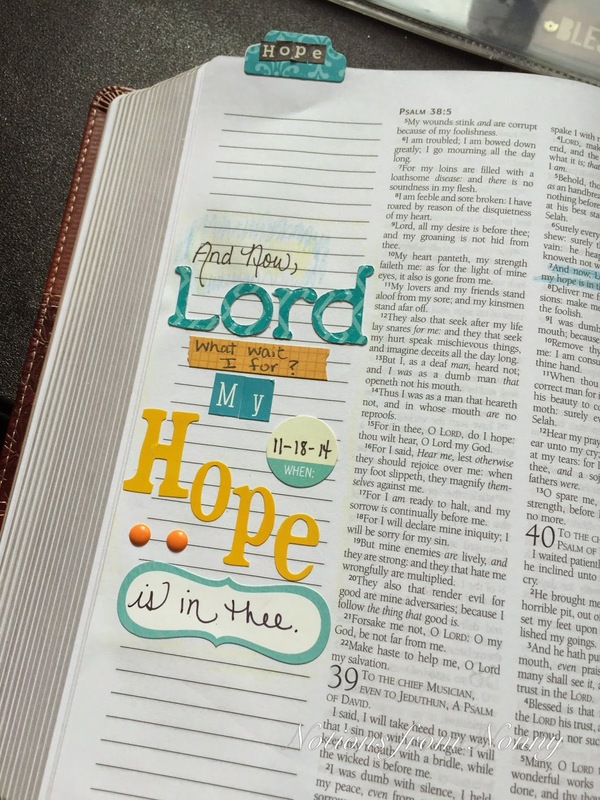 Just recently I posted on the blog about "hope". During this time I journaled in my bible about this very topic. He is our hope and I am so thankful! I heard many people say that I can't do a journaling bible, for I am not creative. You don't have to be a artist, or even writer. Journaling in your bible is a reflection of you and your heart. You just use the skills that God gave you.